Wheatgrass refers to the young grass of the wheat plant, that is freshly juiced or dried into powder for human consumption. 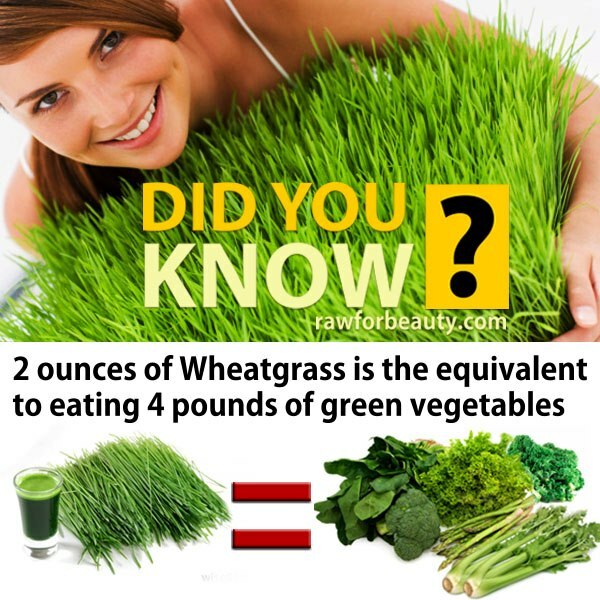 Wheatgrass provide chlorophyll, amino acids, minerals, vitamins, and enzymes. It’s health benefits range from providing supplemental nutrition to having unique curative properties. 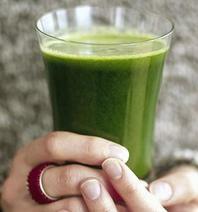 50 Reasons To Drink Wheatgrass. This is possibly the most up-to-date, nutrition filled, research packed, book on wheatgrass in print. Read the real stories by real people who, in their own words, have used wheatgrass to heal themselves after the medical establishment had given up on them. Discover the fascinating history of wheatgrass going back to biblical times. Get step by step, detailed information on how to grow gorgeous grass with zero mold; how to select from the best juicers on the market; how to save time juicing: and how to use it for maximum therapeutic benefit in a total health restoration program. Wheatgrass is intense. And so is this list of, count ‘em, fifty reasons get this living green liquid straight into your belly. Doctors Brian and Anna Maria Clement run the Hippocrates Health Institute and are leaders in the field of natural health and healing.